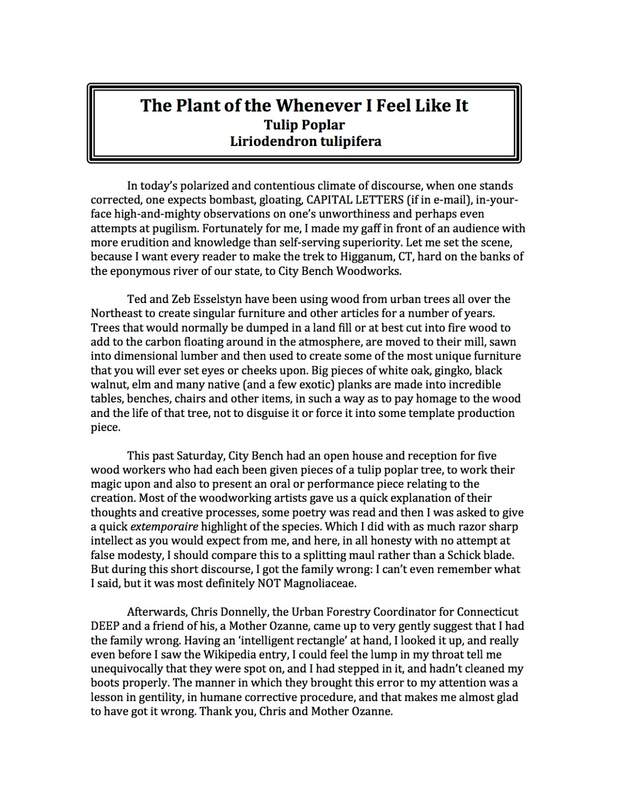 I don't remember when I signed up to receive Eric Larson's Plant of the Week newsletter from Marsh Botanical Garden, part of the Yale School of Forestry & Environmental Studies, but I enjoy reading them. 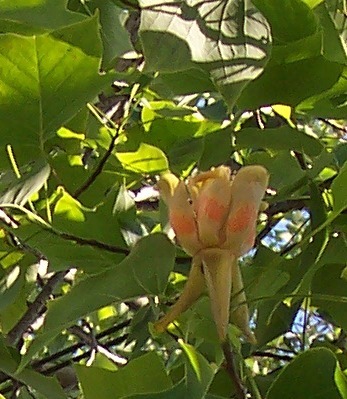 The tulip poplar or tuliptree (Liriodendron tulipifera) is one of my favorite trees. I like the tree's impressively straight trunk, beautiful flower (forage for bees), and vibrant fall foliage. Eric has written about other of my favorite trees, but for some reason, this profile struck me more than others. 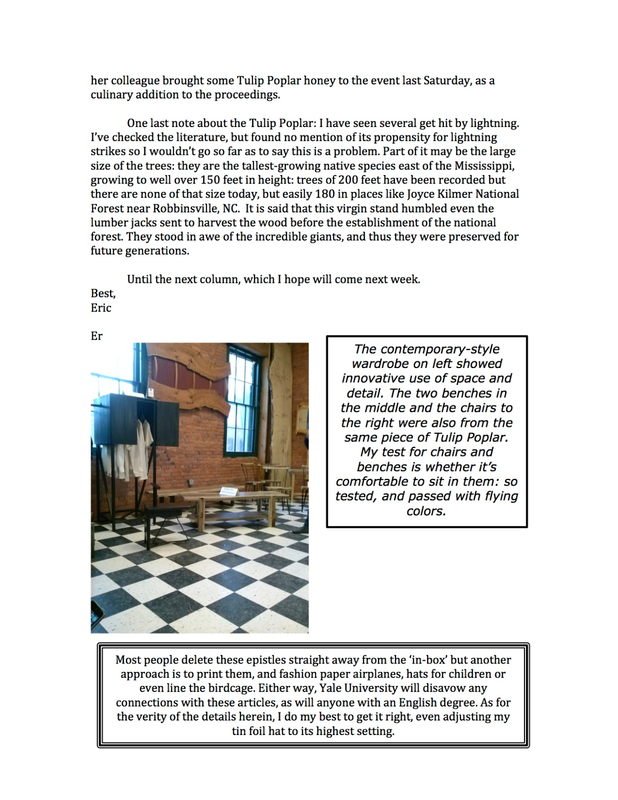 I asked Eric if I could share his essay with you and he responded affirmatively. Thank you, Eric. 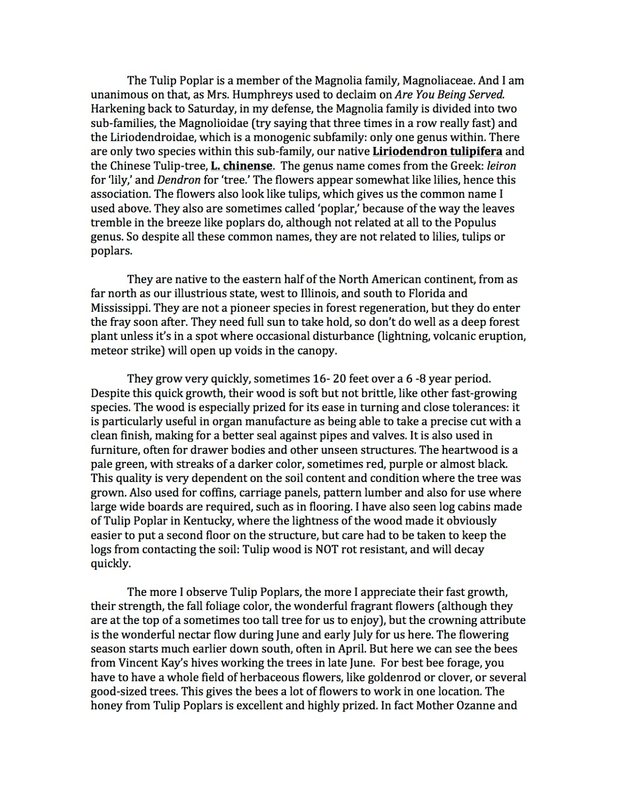 Readers, let me know what you think about the essay and about tulip poplars in the comments. I had the pleasure of standing in a forest of mature Liriodendron on the Potomac at Caledon State Park. They were every bit of 150' tall.